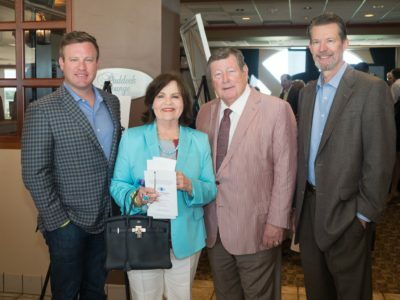 The 20th Anniversary Racing for Sight benefiting the Retina Foundation of the Southwest was held Sunday, April 23, 2017 at Lone Star Park in Grand Prairie. 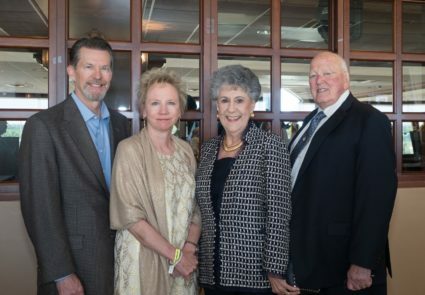 ORIX Foundation was the Title Sponsor, and this year’s Honorary Chair was Jean Broughton-Powell — pictured above with Dr. David Callanan, Chairman of the Board, Retina Foundation of the Southwest, Mrs. Kim Callanan, and Dr. Darryl H. Powell. More than 77 cents of every dollar given to Racing for Sight goes directly to vision research and free vision testing that we provide to more than 2,300 patients each year. The Retina Foundation is proud to have raised more than $6 million dollars for life-changing research through Racing for Sight over the past 20 years. Be sure to tag us in your own photos on Facebook, Twitter, and Instagram using the hashtag #RacingforSight!